When I was told I had multiple sclerosis on January 15th, 2016, I thought my life was over. But after a lot of research, finding a top-notch doc, connecting with some great MS mentors (some of which are MS Run the US alumni! ), and chewing on the news a bit – I decided it wasn’t. I learned that in order to live my best life, I needed to live my healthiest life. Running and biking quickly became my one-two punch. In January of 2017, to mark the anniversary of my diagnosis, I launched Fit15 — a year-long initiative of running and biking 1500 miles to raise $15K for MS research. By the end of the year, I had run and biked 3,030 miles and had raised $20,400. 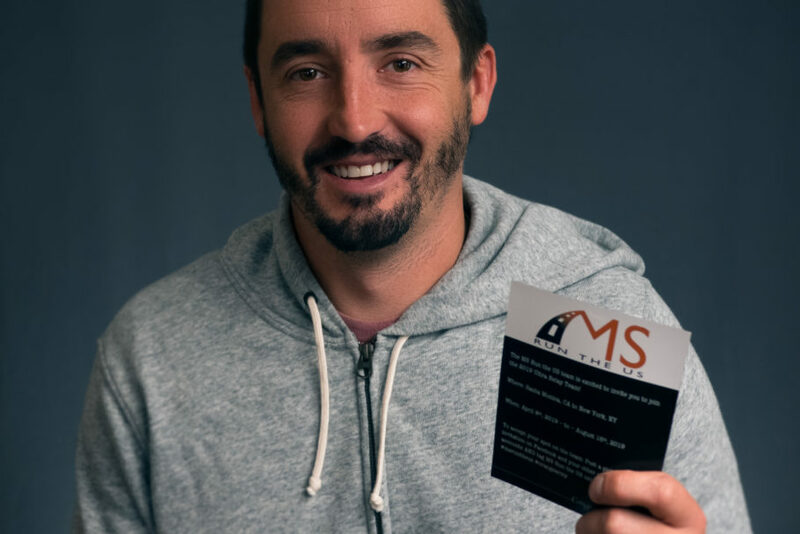 In 2018, my focus shifted to running the Boston Marathon with the Strides Against MS team. My goal was to raise $10,000 and to complete the marathon in less than four hours. Donations totaled $11,961 and I completed one of the rainiest, coldest and windiest “Bostons” in history in 03:56:15. As a member of the MS Run the US Ultra Relay team, I plan to continue to exceed my goals and your expectations. We’ve got this disease on the ropes. I’m excited to do my part to put it way for good.